Home»All»Ten Quirky Things to Do in Houston! Thank you to Houston Matters for having me on to talk about Quirky Things to Do in Houston! I really enjoyed talking about our city with Craig and Barbara Hinton and hearing from those that called in! 1. 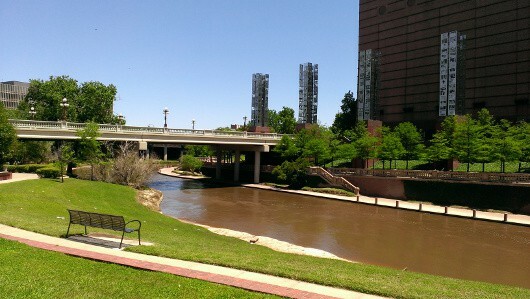 Burp the Bayou – This goofy thing is our favorite thing to do in Houston. In the middle of the brick column on the side of the Preston Street Bridge, is a little red button. When you press it, the water in the bayou will bubble for several seconds. It’s not marked, so we don’t know whether we should press it or not. And if we do press it, what will happen? Where should we look? And say we see or hear the bubbles, what is causing it? We never get tired of this little game. 2. Update: The Observation Deck is NOW CLOSED to the public. 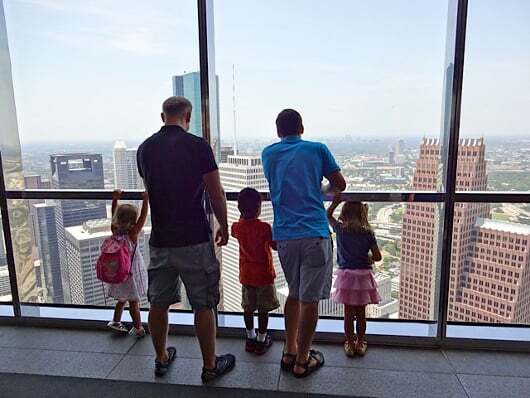 JP Morgan Chase Tower Observation Deck – The JP Morgan Chase Building is 75 stories tall, making it the tallest building in Houston and one of the top 10 tallest buildings in the United States. The observation deck is on the 60th floor during business hours, Monday through Friday, 8:00am to 5:00pm, this observation deck is open to the public for free. 3. 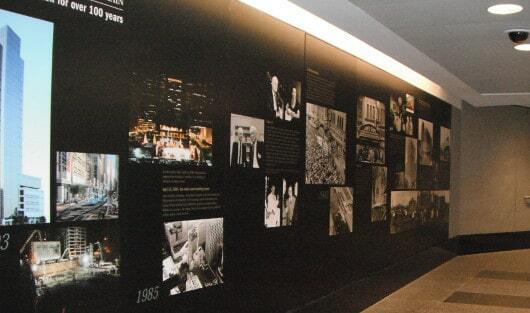 Miles of Tunnels Under Downtown – Under Downtown Houston there is a 7 mile, climate controlled, system of tunnels linking office buildings, hotels, banks, restaurants, retail stores and the Theater District. These tunnels are usually open to the public from 6:00am – 6:00pm on weekdays. For those that work Downtown, this might not be all that exciting. For families who didn’t know they could wonder around under the streets, this is a great, free, and climate controlled adventure! 4. 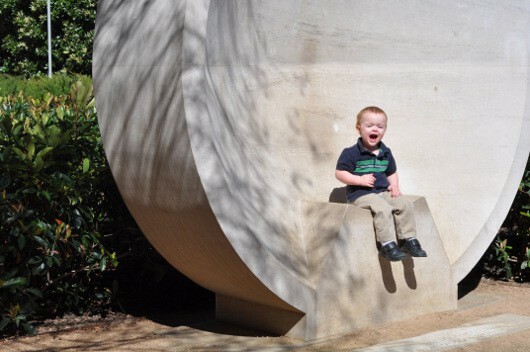 Listening Vessels – Located in Discovery Green, these 2 limestone sculptures have concave interiors that focus sound waves. You can sit in 1 vessel and be heard in the 2nd vessel that is 70 feet away. 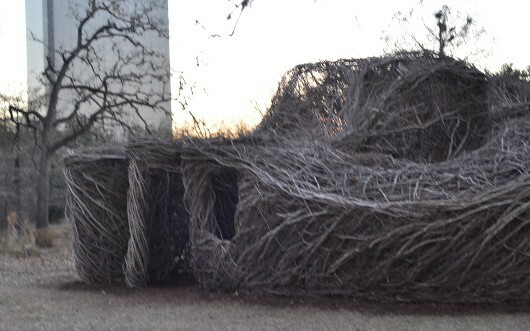 The vessels are tucked away in the Wortham Foundation Gardens. Find these by the Hilton and be ready to be amazed! 5. 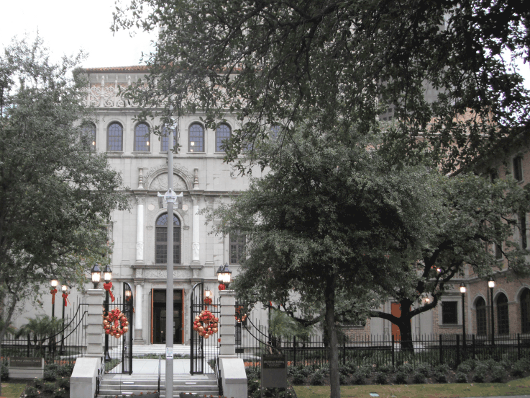 Julia Ideson Building – The Julia Ideson Building was designed in the Spanish revival style and opened in 1926 as the Houston Central Library. It was to be the centerpiece of a 5 building civic center, however, due to the Great Depression, this vision was not realized. The other buildings were built in the modern style of the 1930s. This building is absolutely beautiful and the perfect place for a party. I’m secretly planning on it for at least one of my kid’s wedding receptions. I just have one concern with this. 6. Part of the Art at Main Street Theater – Main Street Theater is a small, casual theater with a main stage (for adults) and theater for youth (for families). 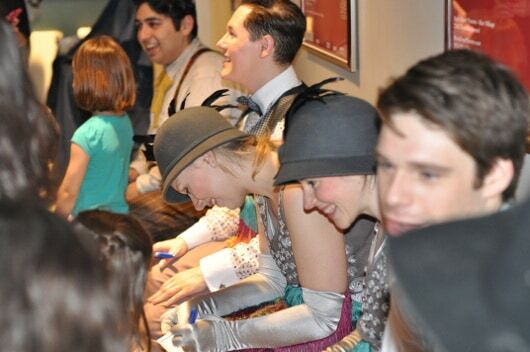 The shows are very engaging in the intimate theater. In addition to this, Main Street invites the community to be Part-of-the-Art by attending read-throughs (free), stumble-throughs ($40), costume parades ($20), pre-show discussions with the designers (free) and more. This is a unique Houston experience! 8. 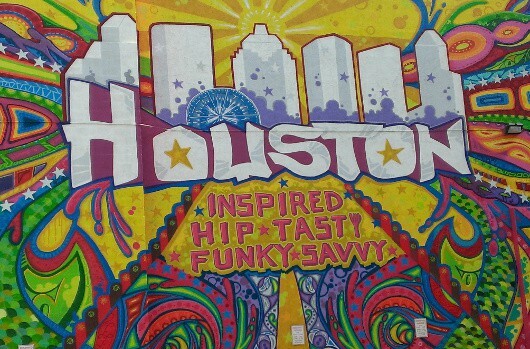 Houston is Inspired Mural – In 2013, the Houston arts community came together and adopted the “Houston is Inspired” campaign to “engage their audiences in a sense of pride and ownership of Houston’s arts offerings”. The campaign kicked off with the ribbon cutting of GONZO247’s larger-than-life mural. This vibrant mural can be found right across the street for Market Square Park in Downtown Houston. 9. Art Cars – Houston loves Art Cars. There is an annual parade each May and a museum that is open year round, for free! The museum is funky and small, making it great for a quick trip with the kids. Head to the Houston Heights to see which crazy cars are on display. 10. 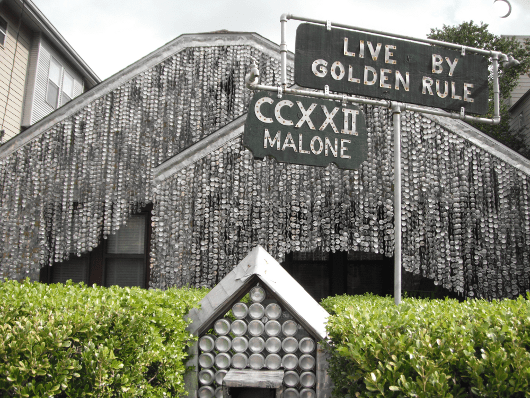 Beer Can House – When you drive up, you think you’re in just any residential neighborhood until you see a shiny silver house with beer can chimes blowing in the wind. This house belonged to a retired upholsterer for the Southern Pacific Railroad. He was sick of mowing the grass, so he started creating “art”. Over 18 years, he added over 50,000 cans to his house. Listen to this clip to hear even more quirky things to do in Houston! I'll See You at Discovery Green, Tuesday, March 25! Stop by the BigKidSmallCity Photo Booth at Toddler Tuesday!